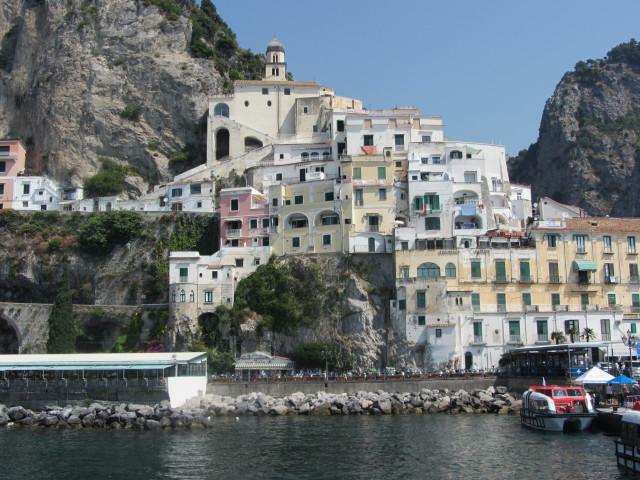 Amalfi Italy: Travel Information Resources and Tips. Amalfi Italy is a popular tourist destination in the province of Salerno and is the town that gives its name to the Amalfi Coast. A unique landscape designed by bays, coves, cliffs and small villages perched on the mountain. 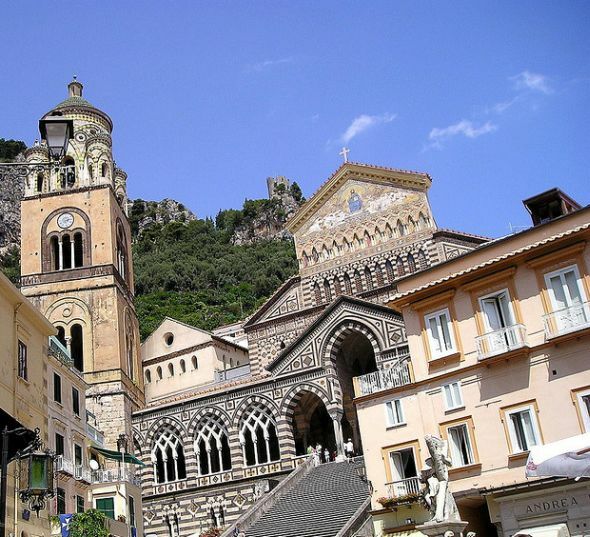 Amalfi is dominated by the majestic cathedral dedicated to Saint Andrew (Duomo di Sant'Andrea) , provides interesting evidence of its glorious past as a Maritime Republic. The Amalfi Coast is the stretch of the Campanian coast, located south of the Sorrento Peninsula, overlooking the Gulf of Salerno is bordered to the west and east from Positano to Vietri sul Mare. It is a stretch of coast known throughout the world for its natural beauty, home to major tourist sites. As already said, the Costiera Amalfitana takes its name from the town of Amalfi, the core of the Coast not only geographically but also historically. The Amalfi Coast is known for its diversity: each of the countries of the Coast has its own character and its own traditions. Amalfi to its geographical connotation aims to tourists as enchanted and arduous resort. All the beaches, except those located in front of the city can be reached by long flights of steps or by sea. In both cases it is a unique experience where the contact point is the nature. The last beach of the town of Amalfi is "La Vite", 4 kilometers from the city center. It borders the village of Conca dei Marini. The most interesting monuments to visit the Amalfi Coast are: the Cathedral of Amalfi and its cloister (cloister Paradise), the church of Santa Maria Assunta in Positano, the churches of San Salvatore del Birecto and Santa Maria Maddalena in Atrani , Villa Cimbrone and Villa Rufolo in Ravello, the churches of San Luca and San Gennaro in Praiano and their viewpoints, the church of San Pancrazio in Conca dei Marini and its viewpoint, the church of Santa Trofimena and the Roman villa in Minori, the collegiate church of Santa Maria a Mare and the castle of San Nicola de Thoro Plano in Maiori.